Not unlike our own teeth, dogs and cats also require daily dental care. There are literally hundreds of products on the market that claim to clean your pets teeth, but sadly, many are not clinically proven. We stock a wide range of products that will help you care for your pets teeth, available in many different methods of treatment. Did you know severe dental disease can effect the major body organs, such as the heart, if left unchecked? As plaque begins to build up on teeth, the bacteria in the plaque irriatates the gums causing bleeding. This then allows the bacteria to get into the blood stream, potentially causing harm to your pet. If it does come to a point where your four-legged friends teeth require a clean or removal, we offer surgical intervention to ensure their lifelong health. This can include ultra-sonic scaling and polishing, with the same quality equipment human dentists use, and surgical removal of both smaller and larger teeth. All our dental procedures are performed under a general anaesthetic. How can you tell if your pet requires a dental? Bad breath is usually the first indicator. In more severe cases you can see a build up of yellowish crusty material on the teeth, bleeding gums, changes in eating or chewing, even increased drooling. If your pets smile is becoming stinky, call the clinic today and schedule a complimentary dental check! Here is some before and after photos of a recent dental clean performed on a 5 year old Poodle x, by Dr Quinn. Fortunately, despite the build up, she did not require any extractions. 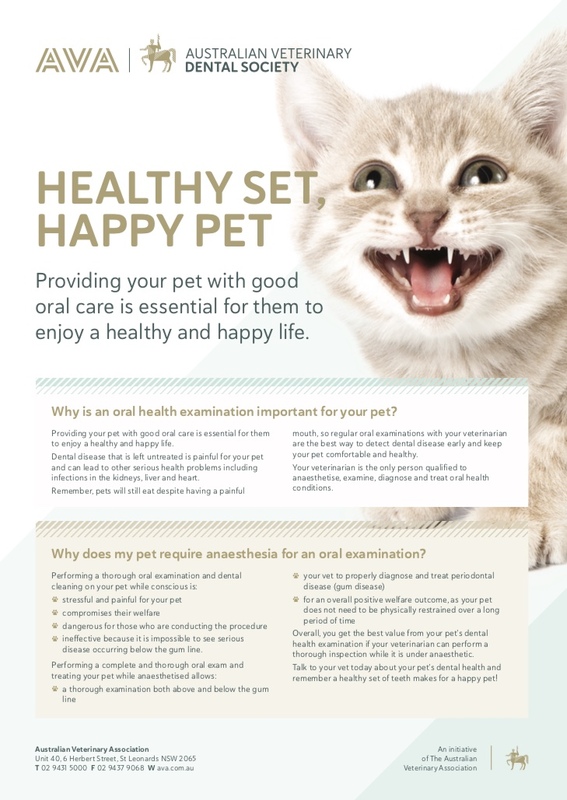 For further information, you can read more at the following links: Canine Periodontal Disease and Feline Periodontal Disease.